Huawei has announced a new budget device in its Y Series named Huawei Y6 (2018) in India, and the smartphone comes in Black, Blue, and Golden colors. Teh smartphone comes with a 13MP rear camera with LED flash and a 5MP front-facing shooter with LED flash. Huawei Y6 (2018) runs on Android 8.0 (Oreo) with EMUI 8.0 and has 1.4GHz Quad-Core Snapdragon 425 processor with Adreno 308 GPU. It doesn’t have a fingerprint sensor, but it has face unlock feature. It packs a 2GB of RAM and 16GB of internal storage memory that can be extended using a microSD card up to 256GB. The Dual SIM smartphone has a 3000mAh battery. The device measures 152.4 x 73 x 7.8mm and Weighs 150 g.
Connectivity options on the device include 4G VoLTE, Wi-Fi 802.11 b/g/n, Bluetooth v4.2, GPS + GLONASS, 3.5mm audio jack, and FM Radio. 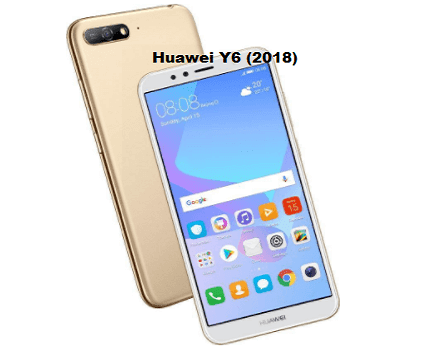 Huawei Y6 (2018) has a 5.7-inch 18:9 FullView display with 2.5D curved glass and 1440 x 720 pixels resolution.